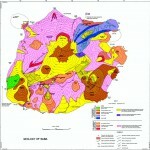 Aquater, SpA., 1982, Exploration of St. Lucia’s Geothermal Resources, Annex A – Geological Survey: Unpublished Report to the The Government of St. Lucia, Ministry of Finance and Planning. Aspinall, W.P., Michael, M.O., and Tomblin, J.F., 1976, Evidence for fluid bodies beneath the sulfur springs geothermal region, St. Lucia, West Indies: Geophysical Research Letters, v. 3, p. 87-90. Aspinall, W.P., Shepherd, J.B., Woo, G., Wightmann, A., Rowley, K.C., Lynch, l.L., and Ambeh, W.B., 1994, Seismic ground motion hazard assessment at a site near a segmented subduction zone: the Roseau dam, St. Lucia, West Indies: Earthquake Spectra, v. 10, p. 259-292. Battaglia, S., Gianelli, G., Rossi, R., and Cavarretta, G., 1991, The Sulfur Springs Geothermal Field, St. Lucia, Lesser Antilles; hydrothermal mineralogy of wells SL-1 and SL-2: Journal South American Earth Sciences, v. 4, p. 1-12. Briden, J.C., Rex, D.C., Faller, A.M., and Tomblin, J.F., 1979, K-Ar geochronology and paleomagnetism of volcanic rocks in the Lesser Antilles island arc: Philosophical Transactions Royal Society London, v. A291, p. 485-528. Brown, L.K., 2002, Gas Geochemistry of the Volcanic Hydrothermal Systems of Dominica and St. Lucia, Lesser Antilles: Implications for Volcanic Monitoring: Unpublished Senior Honors Thesis, Department of Earth and Planetary Sciences, University of New Mexico. Deplus, C., Le Friant, A., Boudon, G., Komorowski, J-C., Villemant, B., Harford, C., Segoufin, J., and Chiminee, J-L., 2001, Submarine evidence for large-scale debris avalanches in the Lesser Antilles Arc: Earth and Planetary Science Letters, v. 192, p. 145-157. Earle, K.W., 1923, The Geology of St. Lucia: Castries, St. Lucia, The Government Printing Office. Gandino, A., Piovesana, F., Rossi, R., and Zan, L., 1985, Preliminary evaluation of Soufriere geothermal field, St. >ucia (Lesser Antilles): Geothermics, v. 14, p. 577-590. GENZL, 1992, St. Lucia geothermal project. Well-2 discharge testing, well safety evaluation and resources assessment: Unpublished report, St. Lucia Electricity Services Ltd.
Greenwood, P.G., and Lee, M.K., 1975, Geophysical Surveys in St. Lucia for Geothermal Resources :Unpublished Report, Applied Geophysical Unit, Institute for geological Sciences, Geophysical Division. Hovey, E.O., 1905, Soufriere de Sainte Lucie: Bulletin Geological Society of America, v. 16, p. 570-571. Joseph, E.P., and Robertson, R., 2003, Sampling of geothermal features in St. Lucia and Dominica, 3rd-9th November, 2003: Unpublished Internal report Seismic Research Unit, St. Augustine, Trinidad. LANL, 1984, Report of St. Lucia Geothermal Resources: Unpublished report Los Alamos National Laboratory. Latour, L. de, 1787, Description generale et particuliere de L’Ile de Sainte Lucie. 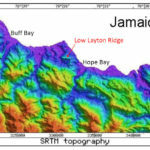 Lee, M.K., and Greenwood, P.G., 1976, The Interpretation of Resistivity Surveys for Geothermal Resources in St. Lucia: Unpublished Report Applied Geophysical Unit, Institute of Geological Sciences, Geophysical Division. Le Guen de Kerneizon, M., Carron, J.P., Bellon, H., and Maury, R.C., 1981, Enclaves metamorphiques et plutoniques provenant du substratum des Petites Antilles, dans les formations volcaniques de I’ile de Sainte Lucie: Comptes Redut Academie Science Paris, v. 292, p. 899-902. Le Guen de Kerneizon, M., Carron, J.P., Maury, R.C., Bellon, H., and Dupuy, C., 1982, Les rhyolites a fayalite et ferroaugite de Sainte-Lucie (arc insulaire des Petites Antilles): Bulletin Mineralogie, v. 105, p. 203-211. Le Guen de Kerneizon, M., Bellon, H., Carron, J.P., and Maury, R.C., 1983, L’Ile de Sainte Lucie (Petites Antilles); distinction des principals series magmatiques des donnees petrochimiques et geochronologiques: Bulletin de la Societe Geologique de France, v. 25, p. 845-853. Lindsay, J.M., 2005, St Lucia, Lindsay, Robertson, Shepherd and Ali, eds, Volcanic Hazard Atlas of the Lesser Antilles, Seismic Research Unit, University of the West Indies, p. 218-238. Lindsay, J.M., David, J., Shepherd, J.B., Ephraim, J., 2002, Volcanic Hazard Assessment for St. Lucia, Lesser Antilles: Unpublished Report, Government of St. Lucia. Maassen, L.W., and Bolivar, S.L., 1987, A geochemical survey of St. Lucia, West Indies: Journal of Geochemical Exploration, v. 28, p. 451-466. Martin-Kaye, P.H.A., 1956-1961, Progress Reports 1-12: Geological Survey, Windward Islands. 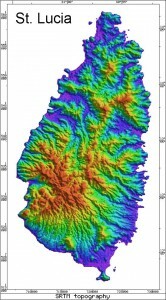 Mattioli, G.S., Jansma, P.E., Jaramillo, L., and Smith, A.L., 1995, Sector collapse in island arc volcanoes: a digital topographic and bathymetric investigation of the Qualibou Depression, St. Lucia, Lesser Antilles: Caribbean Journal of Science, v. 31, p. 163-173. Merz, M., 1977, Report on exploration and drilling at Soufriere: Unpublished Report, Ministry of Overseas Development, London. Newman, W.R., 1965, A report on general and economic geological studies, St. Lucia, West Indies: Unpublished Report, United Nations. 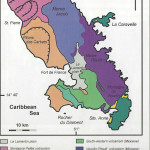 Organization of American States, 1984, St. Lucia Geological Map: in St. Lucia Development Atlas. 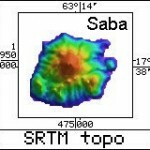 Roobol, M.J., Wright, J.V., and Smith, A.L., 1983, Calderas or gravity-slide structures in the Lesser Antilles island arc? 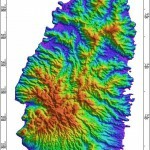 : Journal of Volcanology and Geothermal Research, v. 19, p. 121-131. Sapper, K.T., 1903, Zur Kenntniss der Insel S. Lucia in Westindien: Centrablatt fur Mineralofie, Geologie, Paleontologie, p. 273-278. Tomblin. J.F., 1964, The Volcanic History and Petrology of the Soufriere Region, St. Lucia: Unpublished Ph.D. thesis University of Oxford. Tomblin, J.F., 1965, The Geology of the Soufriere Volcanic Centre, St. Lucia: Fourth Caribbean Geological Conference, Trinidad, p.
United Nations Revolving Fund for Natural Resources, 1989, St. Lucia geothermal exploration project: Unpublished final report Volume II, Wells SL-1, SL-2. Vidal, P., Le Guen de Kerneizon, M., Maury, R.C., Dupre, B., and White W.M., 1991, Large role of sediments in the genesis of some Lesser Antilles andesites and dacites (Soufriere, St. Lucia): isotopic constraints: Bulletin de la Societe Geologique de France, v. 162, p. 993-1002. Westercamp, D., and Tomblin, J.F., 1979, Le volcanisme recent et les eruptions historique dans la partie central de l’arc insulaire des Petites Antilles: Bulletin BRGM (deuxieme serie) v. 3-4 (Section IV), p. 293-319. Williamson, K.H., 1979, A model for the Sulfur Springs Geothermal Field St. Lucia: Geothermics, v. 8, p. 75-83. 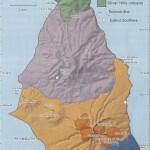 Williamson, K.H., and Wright, E.P., 1978, St. Lucia geothermal project: Transactions of the Geothermal Resources Council. Wohletz, K., Heiken, G., Ander, M., Goff, F., Vuataz, F.D., and Wadge, G., 1986, The Qualibou Caldera, St. Lucia, West Indies: Journal of Volcanology and Geothermal Research, v. 27, p. 77-115. 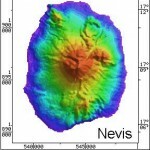 Wright, J.V., Roobol, M.J., Smith, A.L., Sparks, R.S.J., Brazier, S.A., Rose, W.I., and Sigurdsson, H., 1984, Late Quaternary explosive silicic volcanism on St. Lucia, West Indies: Geological Magazine.